I was always intrigued by the people who could make something beautiful…..that’s what inspired me to become an interior decorator! What does it take? A keen vision, creativity, and a sense for balance and scale. 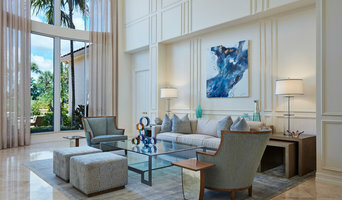 The coordination of color and elements, seeing the big picture and putting the pieces of the puzzle together……..beyond that and MOST IMPORTANTLY, it’s unfolding your clients dreams…..finding a solution to their challenges and giving them a sense of peace and serenity when they walk into their home. The style, palette and décor are all reflections of YOUR personality….creating a space that is functional and makes YOU feel comfortable. Bringing YOUR dreams to reality! Education: A background in administration for a fortune 500 company led me to six years in Sales & Marketing. A strong emphasis in designing promotional materials and creative advertising, along with, a knack for good public relations, is the foundation of my business success today. Upon moving to Florida from Minnesota in 2000, I graduated from the Sheffield School of Interior Design while working for a high-end furniture gallery for two years. Within those two years, I worked with a large clientele on various design projects. From there I set up a real estate investment company and by using my design expertise, brought profitable returns on the investments for all parties involved. Having been on my own for the past 11 years, I have traveled through many facets of design and worked with a lot of wonderful clients! From the entire construction to the comfort of your sheets, I always look forward to the next endeavor! The work of a professional can make all the difference. Whether your home has 10 bedrooms, or your apartment is 800 square feet, it can be tricky to create a cohesive look that is representative of your style. That's where a local Lake Park interior designer comes in. A home decorator will help distill your tastes and ideas into a design that suits the needs of your space. 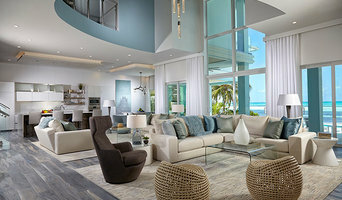 Whether you need help creating a functional space plan, rearranging existing pieces, designing the inside of a new home, or simply sourcing amazing furniture and decor, seeking the help of professional interior designers and decorators in Lake Park, FL is a must. A good home design professional will hone your style down to its very essence and be able to choose a functional layout that feels natural to you. Interior design companies can be involved as much or as little as the client desires. Many clients who hire an interior decorator in Lake Park, FL — particularly those who are remodeling — have a good sense of how the room should look and what products they should use. Often clients will insist that interior decorators use the products already present in the house. Other times a designer will need to start from scratch — especially if this is a newly purchased or just-built home. An interior design company will need to figure out exactly what the client needs, which includes organizing rooms, picking flooring and wall colors, and finding furniture to complement it all. Sometimes that means he or she will have to recruit help from other Lake Park, FL home professionals to help create the perfect look for your renovation. Here are some related professionals and vendors to complement the work of interior designers & decorators: Architects & Building Designers, General Contractors, Home Builders, Design-Build Firms, Photographers. Do your research before meeting with an interior designer or home decorator in Lake Park, FL. Ask yourself what you want your space to become and what it will be used for. Figure out the extent of what you need help with, what your must-haves are and what your budget is. Interior design services can add up fast, so be up front with a potential design firm or individual from the beginning. Also, pick an interior decorator that fits your style. Browse through the portfolios of different Lake Park interior design firms and decide if you would live in those houses. Just because you like something doesn’t mean you could live in it. There's a big difference! Find an interior designer or home decorator in Lake Park, FL on Houzz. Narrow your search in the Professionals section to find Lake Park interior designers near you. 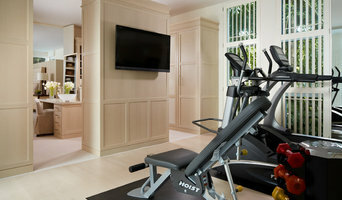 You can also look through Lake Park, FL photos to find a room you like, then contact the design firm who designed it.